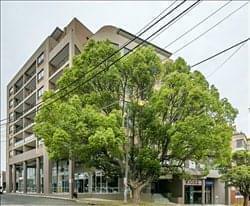 Find My Workspace lists over 95% of the serviced offices market in Miranda (Sydney). Simply click Request Quote to check pricing for one office, or Add to Basket for multiple offices. This centre is in prime central position in the Sutherland Shire, located a minutes’ walk from Miranda train station, Westfield’s and cafes on your doorstep and access to main roads and public transport with a 10 minute drive to Cronulla beach. The building in Miranda is drenched with natural light, with access to a large open terrace balcony with beautiful water and city skyline views. This centre has offices available to accommodate from as little to 1 person, through to 5-6 people per office. Meeting room facilities onsite. This centre focuses on providing a big business space that will impress your clients, so you can concentrate on running your business. To obtain information for your selected Miranda (Sydney) Serviced Offices, please tick the "Add to basket" box for each office you prefer and complete the form below. We will then send a detailed report via email.